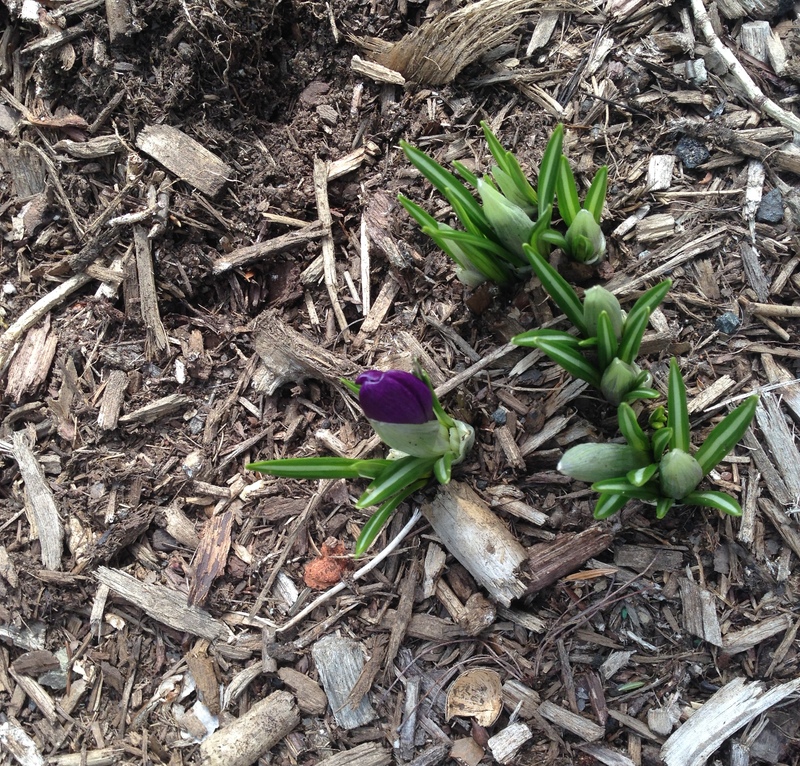 The first sign of spring is peeking its way through in our front yard. Have a quick look before the squirrels or deer eat it (the purple ones always go first; they must taste best! ).